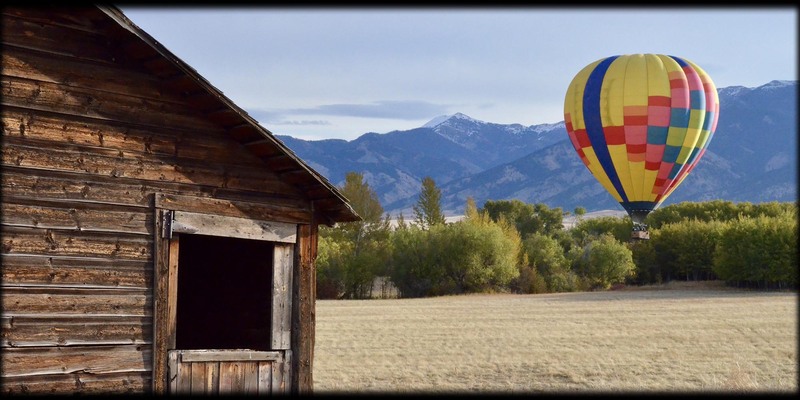 Our current flying location is Gallatin County, Montana serving two flying locations: Bozeman & Big Sky. Where do you meet for your flight? A meeting spot is determined the night before the flight based on local weather conditions. Our balloons hold as many as 10 passengers per flight. Yes. Please see our TEAM page for more information on our crew and their experience. No worries! More than 85% of our passengers consider themselves afraid of heights in some fashion or another. For those that are adventurous enough to take the first step, 99.9% of them will come back to the ground and ask us when they can fly again! The reason is simple, there is no turbulence, no swaying, no wind and no motion what so ever. Ballooning is strictly a fair weather sport. Assuming good visibility, the key consideration for a safe flight is wind speed. Generally a launch will not take place if wind speeds exceed 8 mph. The reason? High winds can cause unsafe conditions when the pilot has to land the balloon. Rain, surrounding storm systems or high winds are typical weather conditions that will prompt us to postpone and reschedule a flight. Yes, each person flying in the balloon will need to sign a waiver and minors (under 18) must have written parental or legal guardian consent to fly in the balloon. Singles and couples will be paired. Flights are conducted shortly after sunrise when surface winds are the calmest. Our first class chase crew will follow the balloon until it lands and bring everyone back to the launch site. Every flight is different and distance is determined by the wind. Normal flight distances are between two and twenty miles. Flight times are generally between forty-five minutes and one hour and fifteen minutes. Absolutley! We'd probably give you a funny look if you didn't. How do you make your fly / no fly weather decision? We have access to 'up to the minute' weather and wind forecasting, provided specifically for flight related activities. On rare occasion you may note that our reports vary from radio or television weather forecasts. Please understand, due to the specific nature of our wind and weather requirements, we must make our "fly"/"no fly" decisions based on the weather reports provided to us by these sources. What happens if something comes up and I cannot make my flight? Can friends / family follow us on our flight? Yes, of course. However, we have limited room in our chase vehicle. Any additional persons will have to follow our chase vehicle in their own car. If you intend on following for the entire flight be advised our chase crew's top priority is the balloon and passengers so we ask that you keep up to them, which can be difficult sometimes!